West Virginia Supreme Court to hear Heather Humphrey, et al. v. Westchester Limited Partnership, et al. The West Virginia Supreme Court of Appeals will hear the case of Heather Humphrey, et al. v. Westchester Limited Partnership, et al. at 9 a.m. on Tuesday, March 5. The West Virginia Supreme Court of Appeals will hear the case of Michael D. Michael, administrator, et al. v. Consolidation Coal Co. at 10 a.m. on Tuesday, March 5. 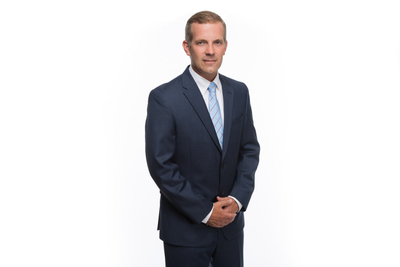 The West Virginia Supreme Court of Appeals will hear the case of The Honorable Dale W. Steager, West Virginia State Tax Commissioner v. Consol Energy Inc. at 10 a.m. on Tuesday, March 12. The West Virginia Supreme Court of Appeals will hear the case of County Commission of Doddridge County v. Consol Energy Inc. at 10 a.m. on Tuesday, March 12. The West Virginia Supreme Court of Appeals will hear the case of EQT Production Co. v. Margot Beth Crowder and David Wentz at 10 a.m. on Tuesday, March 12. The West Virginia Supreme Court of Appeals will hear the case of Murray Energy Corp. v. Dale Steager, state tax commissioner at 10 a.m. Wednesday, Feb. 13. 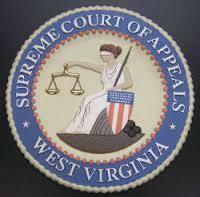 West Virginia Supreme Court of Appeals to hear Penn Virginia Operating v. Phyllis K. Yokum, Assessor, et al. The West Virginia Supreme Court of Appeals will hear the case of Penn Virginia Operating Co. v. Phyllis K. Yokum, Assessor, et al. at 10 a.m. Tuesday, Feb. 12. The West Virginia Supreme Court of Appeals will hear the case of Law Offices of Redman & Payne, et al. v. Dallas King at 10 a.m. Wednesday, Feb. 13. West Virginia Supreme Court of Appeals to hear the case of city of Martinsburg v. Berkeley County Council, et al. The West Virginia Supreme Court of Appeals will hear the case of city of Martinsburg v. Berkeley County Council and Berkley County Building Commission. The West Virginia Supreme Court of Appeals will hear the case of Mark Musick v. University Park at Evansdale at 10 a.m. Tuesday, Oct. 9. The West Virginia Supreme Court of Appeals will hear the case of Atlantic Credit & Finance Special Finance Unit LLC v. Courtney Stacy at 10 a.m. Wednesday, Oct. 10. The West Virginia Supreme Court of Appeals will hear the case of Heather Humphrey v. Westchester Limited Partnership at 10 a.m. Wednesday, Oct. 24. The West Virginia Supreme Court of Appeals will hear the case of Scott Comer v. Priority Ambulance LLC at 10 a.m. Tuesday, Oct. 30.